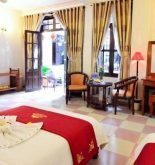 The Indochine Hoi An hotel owns appearance of a French style buildings on the early years of the 20th century. 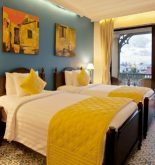 Hiding beneath this ancient appearance is a place where is considered as one of the new hotel in Hoi An with the modern equipment. What is more, this center is also the perfect combination of life and nature. For instance, the quiet Do river flows through the very green garden surrounded by fishing villages, the sunny Cua Dai beach and the green Cham island – the world biosphere reserve. 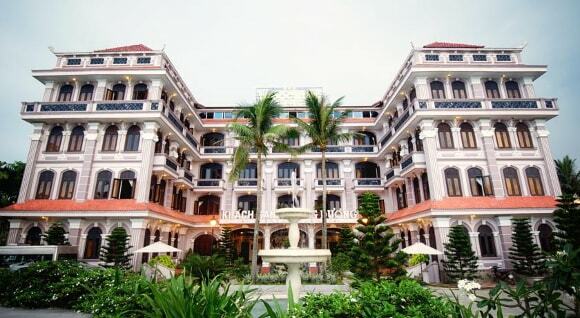 Address: 87 Cua Dai St, Hoi An, Quang Nam, Vietnam. Service: Laundry, Currency Exchange, Airport pickup, Massage, etc. 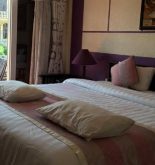 This information has been supplied by Indochine Hoi An Hotel.